Our Playhouses are sturdy timber structures, not just flimsy garden sheds. We design and build them to cope with the demands of any multi-use playground be it a school, nursery or maybe a communal garden. 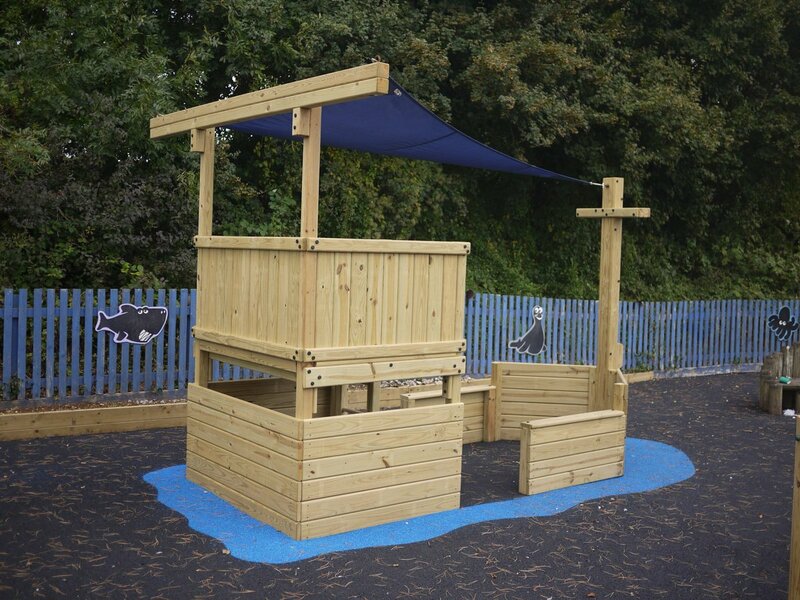 Constructed from the same solid and machined wood as the rest of our play equipment, they provide a wonderful location for children to socialise, shelter from the weather or get involved in imagination play. Here is a selection of the playhouses we offer. But don’t forget as we manufacture all our equipment in our own factory we can custom-make a bespoke structure tailored to your requirements. Please contact us to see how we can make the perfect addition to your playground. Our standard playhouse but with an open front and three enclosed sides A pair of slightly larger playhouses with benches inside “Meet up house” – larger than the standard playhouse with benches on 3 side Our playhouse with the addition of a overhang roof for storage Standard playhouse set on paving slabs in a school playground. This has a front and side entrance. You will get many years of use from our playhouses thanks to their solid build and pressure treated timber. If you want you can choose to anchor them to the ground to make sure they can’t be pushed around (but with even the smallest weighing in at over 100kgs this is unlikely to be a problem). Or click here for our Shelters if you are looking for something bigger.